There's one playoff team (in both hockey and hoops) that is simply tearing opponents apart. The San Antonio Spurs, after a first round donnybrook against the Dallas Mavericks, easily won Game 7 of that series and haven't looked back. It's unheard of to win a NBA playoff game by 19 points. Let alone the first three games in a series by an average of 19 points. And they were never that close. 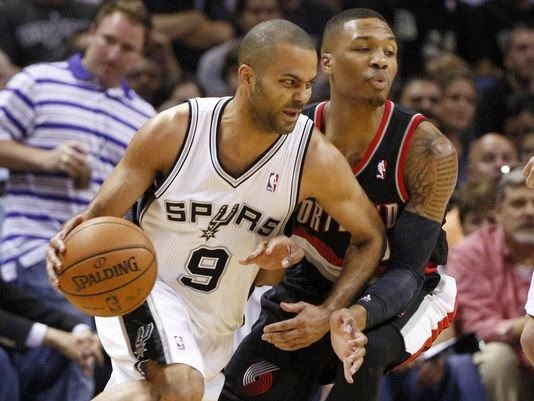 Led by point guard Tony Parker, the Spurs look like a team possessed against the Portland Trailblazers. This week, Parker averaged 22 points, 8 dimes and shot 52% of the field. Leading the hottest team in the land, Tony Parker is our Longhorndave Sportsman of the Week!